Tenor Marcello Giordani in Ernani. On Monday, March 18, the Metropolitan Opera opened its first performance of Verdi’s Ernani in a quarter of a century with powerhouse tenor Marcello Giordani giving a stirring performance of the title role. Written in the incubating fires of the Italian Risorgimento, Ernani is a setting of a fiery Victor Hugo play about a love-struck bandit whose code of honor is so strict that it eventually causes him to commit suicide on his wedding day. But the silliness of the plot didn’t stop Mr. Giordani from tearing up the stage. 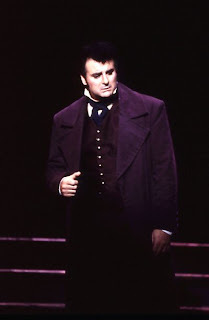 This tenor has been singing lead roles at the big house for the last decade (I first saw him as a memorable des Grieux opposite Renée Fleming in Massenet's Manon) and his instrument has evolved. He has a ringing top register, a smooth middle, and, when necessary, a serviceable low end. He looks the part of a dashing Italianate opera hero and is a believable actor, even in the silliest parts. Ferrucio Furlanetto, a 20-year veteran of the Met stage, dominated his scenes in the key role of Silva. Honorable to a fault, Silva gets the better of the bandit in the final act. Mr. Furlanetto, who came up through the Salzburg Festival under the wing of conductor Herbert von Karajan, has had a long, varied international career. His fine basso cantante voice remains a pleasure to hear. A compelling presence, physically and vocally, his performance was the bedrock upon which this Ernani rested. American super-baritone Thomas Hampson also gave a typically intelligent performance as Don Carlo, the King of Spain who becomes Charles V, Holy Roman Emperor in the third act. Although he seemed outclassed by the other two male leads, Mr. Hampson managed to seize to spotlight in the climactic third act, when Charles seizes power. Caught in the middle: Elvira, one of the great Verdi heroines. She was sung by soprano Sondra Radnavovsky, who coped admirably with the role's difficult tessitura despite being hobbled by a cold. 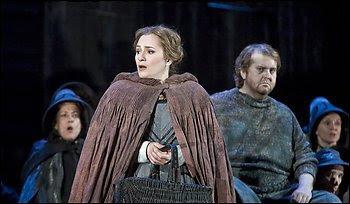 It's not easy being caught in the middle of this opera, forced to struggle with Verdi's acrobatic vocal writing that almost stems from another era, and she more than met to this role's difficult requirements. Roberto Abbado's conducting didn't quite have the same fire as his singers, but kept the composer's rhythms moving nicely along. The composer Richard Wagner once said, "Children, go do something new!" This new 3-DVD set, which captures Nikolaus Lehnhoff's remarkable production of Parsifal, filmed here on a good night in Baden-Baden takes the composer at his word. 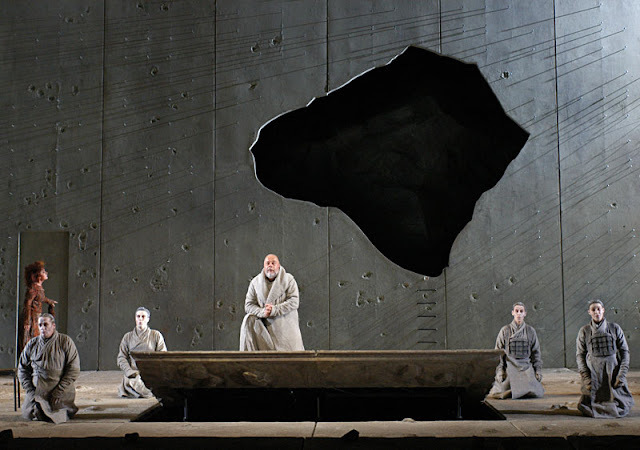 Lehnhoff is not the first director to stage a post-apocalyptic version of the Grail legend, but this desolate production (also seen at Covent Garden and the San Francisco Opera) is chillingly effective. The Question: Did Richard Wagner really invent his own tuba? Yes. When working on the Ring cycle, the composer felt that he needed to design an instrument hat combined the function of the French horn and the tuba. He went to various instrument makers (including the famous Adolphe Sax, inventor of the saxophone) and Swiss artisan C.W. Moritz. Finally, it was Munich craftsman George Ottensteiner, working with a generous stipend from King Ludwig II, who built the first Wagner tubas. They were first used at a performance of Die Walküre in 1875. 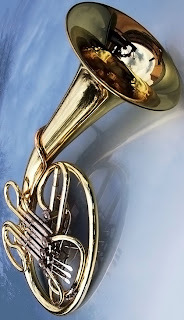 Originally, there were two types of Wagner tubas, (tenor and bass) though most modern players prefer a "double tuba" that can play in either range with the flick of a valve. Either way, the the Wagner tuba looks like a small oval tuba, or a slightly elongated French horn. It is played in the lap with the bell facing up. The instrument was designed to have a narrow pipe bore (like the horn) so it can be played with a conical horn mouthpiece. Also, like the horn, the Wagner tuba has a rotary valve system, and it is notoriously difficult to keep in tune. During performances of the Ring, four members of the eight-man horn section are required to put down their horns and pick up the Wagner tubas (usually two tenors, two basses.) This has the advantage of adding a darker quality to the orchestra, and a clear, stentorian sound in the more noble passages. A good place to hear the Wagner tubas do their stuff is in the opening of Act I of Die Walküre, where they represent the storm scene and the German thunder god, Donner. Although Wagner only used these tubas in the Ring, they also appear in symphonies by Anton Bruckner (most notaly the Seventh, which was dedicated to Wagner) and Schoenberg's mighty Gurrelieder. Stravinsky required them for the Rite of Spring. Finally, Richard Strauss, who never met an orchestral texture he didn't like, used them in a number of his works. In Germany, the Wagner tuba is also known as the "Ring-Tuben", the "Bayreuth-Tuben" and the "Rheingold-Tuben." 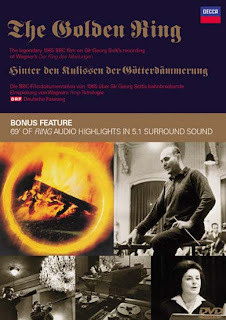 The Solti Ring, as it is known to collectors, is considered to be one of the finest Wagner recordings--and one of the finest opera recordings--ever made. Working with the early stereo format, the engineers hung microphones over the recording space and moved the singers around on the stage, panning their voices to the left and to the right. Vocal effects and audio effects allowed the engineers, using analog equipment, to create a "theater of the mind" that would give the listener the illusion of experiencing the events of the opera in a different way than one would in the opera house. In addition to transforming voices through the use of distant microphones and isolation booths, Culshaw and company stuck closely to the letter of Wagner's work, using 18 tuned anvils, alphorn, lead blocks, and in Götterdämmerung, steer-horns to complete the aural illusion. The documentary captures much of this frenzied activity. You sit in on orchestral rehearsals, watch the singers make "test" recordings, and then see the final, recorded performances. Birgit Nilsson (Brunnhilde) falls victim to a memorable practical joke. Dietrich Fischer-Dieskau discusses the problems with Wagner the person versus Wagner the composer. We visit a cocktail party in the producers' apartment, built right above the studio.Solti (nicknamed the "Screaming Skull" during hiis Covent Garden tenure) yells at the Vienna Philharmonic. All that is very interesting, but the real glory here is the performance, with Gottlob Frick's black-voiced Hagen, Wolfgang Windgassen's experienced Siegfried, and Nilsson's indomitable Brunnhilde. This is an important document, but the DVD release has two drawbacks. One is the poor source quality, a worn-out, damaged video tape that shows white lines and silver squiggles on the image. 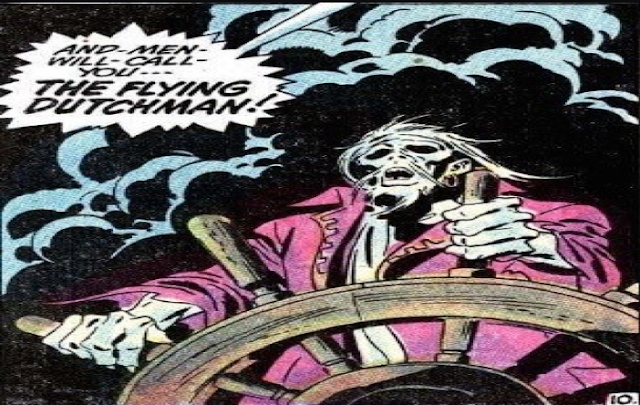 Worse yet is the sketchy mono sound which becomes scratchy when the orchestra kicks into full Wagnerian gear. If you want to hear these performances for real, get the recordings on LP or CD. But then, see this film--it is an interesting inside look at an era of opera recording long since passed. Click here HERE to watch a clip from The Golden Ring--the scene where Birgit Nilsson gets pranked. Then watch her sing magnificently in the Immolation Scene from Götterdämmerung. Superconductor reviews two classic Wagner reissues. Wolfgang Wagner, grandson of Richard Wagner, has run the Bayreuth Festspielhaus (the opera theater in Germany designed and built by his grandfather exclusively for staging Wagner operas) for 57 years. In that time, he has had his greatest successes with stagings of Die Meistersinger, Wagner's six hour comic opera that is also a meditation on life, music, and the role of the artist. Two of these productions have been recently released on DVD by Deutsche Grammophon. The Question: Is There Really a "Curse of Beethoven?" 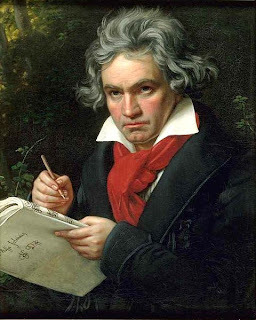 When Ludwig van Beethoven completed his famous Ninth Symphony and premiered it in 1824, he did start working on an all-instrumental Tenth. However, the composer dedicated his last few years to chamber music, and his final symphonic attempt has survived only as a few phrases in one of his sketchbooks. Franz Schubert died one year after Beethoven. He wrote nine symphonies, but the Eighth (the "Unfinished") is only two movements long. It is not known whether Schubert intended to complete it. The Ninth (which was rehearsed but never performed while Schubert was alive) was eventually brought forward by Robert Schumann, and Mendelssohn conducted the premiere. In any case, the Schubert Ninth was originally published as his Seventh. He also started working on a Tenth, but it is no more than a few piano sketches. Bruckner completed eight symphonies and three movements of his Ninth. He came close to breaking the "curse" but died before he could finish the finale of his last symphony. The fact that he spent much of his time revising and editing his earlier symphonies might have had something to do with his inabiltiy to finish the Ninth. However, it should be noted that Bruckner's second completed symphony, which was later shelved by the notoriously insecure composer, has survived as the Symphony No. 0 or "Die Nullte." Gustav Mahler was a superstitious man, and he was determined to beat the "curse." After finishing his Eighth Symphony (the choral "Symphony of a Thousand"), Mahler started working on a new five-movement symphonic song cycle. However, instead of numbering it, he published this "ninth" symphony as The Song of the Earth. He then completed his Ninth Symphony (really his Tenth) and started working on the Tenth. He sketched out most of the melodies, defined the structure, orchestrated the first movement of the five-movement work, and then died of heart failure in 1911 at age 50. Most conductors play only the finished first movements. Some, like Sir Simon Rattle, elect to play the completed orchestration by noted musicologist Deryck Cooke. By the way, Dmitri Shostakovich "officially" broke the curse in the 1950s with his Tenth Symphony. The Russian composer went on to write fifteen. The Met's new Peter Grimes. In the new Metropolitan Opera production of Peter Grimes, tenor Anthony Dean Griffey has made the towering title role his very own. As the outcast fisherman with a terrible temper (and even worse luck), you're never really sure when Griffey's Grimes goes 'round the bend--and that's what makes his performance so powerful. A remarkable singing actor, Griffey brings pathos to the soft, lyric moments of the score, yet packs plenty of power in his voice for the mad scenes and sudden rages that are Grimes' dark side. The entire performance is harrowing in its intensity, and stands proudly next to other great Grimeses of the past: Peter Pears, John Vickers and Philip Langridge. Mr. Griffey is perfectly matched with soprano Patricia Racette, who sets aside the kimonos of Butterfly and the glitter of Violetta to play Ellen Orford, the schoolmistress in Grimes' village (the Borough) and his only friend in the world. Her compassion for Peter never falters, even when he descends into madness and violence. Mrs. Sedley, the town gossip who riles the Borough up against Grimes, receives a sharp-edged portrayal from Felicity Palmer. John Del Carlo makes Swallow a sonorous comic character with his fine bass. Anthony Michaels-Moore was an able, sympathetic Captain Balstrode. The Met chorus and orchestra were at their finest last night. The chorus was a model of tight, precise singing, handling Britten's complicated vocal lines with ease. The orchestra played superbly under the baton of Sir Donald Runnicles, providing accent and subtlety in their vocal accompaniment. The famous Sea Interludes were another highlight, with the smell of salt and the kiss of spray rising from the orchestra put under Runnicles' superb direction. Curiously, John Doyle's spare production featured little in the way of oceanic or naval trappings. Most of the action took place before a giant wooden curtain with rustic doors all over it, representing walls and buildings within the Borough. The doors worked well for quick entrances and exits, suggesting streets, the tavern, or Grimes' pathetic little oceanside hut. Sliding walls made the acting space more and more claustrophobic, until the walls literally closed in on the doomed Grimes. It was an effective staging--dark and dour as Britten's protagonist. Italian tenor Giuseppe di Stefano, one of the great voices in Italian opera in the 20th century, has passed away. He was 86. Giuseppe di Stefano was born in Catania, Sicily, in 1921. His international career began in 1946 with the role of Des Grieux in Massenet's Manon. He possessed a distinctive, glorious instrument, combining rich vocal production and gorgeous, sweet tone: immediately recognizable by opera lovers. This unique bel canto style served as a model for many young tenors. The great Luciano Pavarotti modeled his singing style on di Stefano's, and sang similar repertory throughout his own career. In addition to his many stage appearances. Giuseppe di Stefano was a post-war tenor who helped bring opera into the home of the contemporary listener with help from the newly invented long-playing record. Along with Carlo Bergonzi, Mario del Monaco and Jussi Bjöerling, these singers expanded the role of opera in popular culture, setting the stage for the giant successes of Placido Domingo, Jose Carreras and Pavarotti. Most notably, di Stefano recorded ten classic operas opposite the great Maria Callas. Their remarkable run includes some of the most important Callas recordings, and is highlighted by the benchmark 1953 reading of Tosca with Victor de Sabata conducting. Featuring the snarling Scarpia of Tito Gobbi, this Tosca is one of the greatest Puccini recordings--one of the greatest opera recordings ever made. Although di Stefano had a successful international career, his voice suffered from over-work in the 60s and early '70s. On a final recital tour with Callas, he was a shadow of his former self. . Ultimately, his command of gorgeous tenor line and supple tone vanished to a shadow its former self. The great tenor's last onstage role was in a 1992 production of Turandot in the role of the wispy-voiced Emperor Altoum. It was a sad footnote ending to what had been a glorious career. In 2004, di Stefano and his wife were ambushed in their car in Kenya. The tenor was brutally beaten by unknown assailants, suffering injuries from which he never fully recovered. Despite several operations, the singer finally died in the San Raffaele Clinic in Milan, Italy. 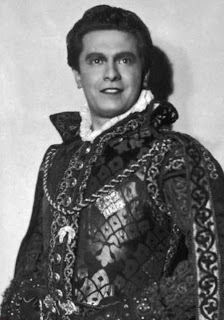 Thanks to The Rest Is Noise for the news of the tenor's death, Wikipedia for the biographical background, and Opera Chic for the image used above. Modest Mussorgsky, painted by Vadim Repin in his last years. Just what it sounds like. All five of these operas were left unfinished due to the untimely deaths of their composers. Happily for us musicological types, they were later completed and premiered in full versions, providing endless grist for lengthy caffeine-and-alcohol fueled arguments in the cafés and pubs around Lincoln Center--if we could afford to go to them. Mussorgsky's grand drama of Russian politics (the title translates as "The Khovansky Affair") deals with the rise of Peter the Great and the destruction of all those opposed to the new Tsar. Working from historical documents, he wrote the five-act libretto but had only begun the orchestration when he died (from complications due to alcoholism) at the age of 42. His friend and fellow composer Rimsky-Korsakov finished the first version of the opera, although his version somehow manages an upbeat ending. Igor Stravinsky also took a crack at the score, but from his version, only Act V has survived. (It can be heard on the Abbado recording of the score, pictured at right.) Most opera houses (including the Met and the Kirov) use the Shostakovich orchestration, which is fairly close to Mussorgsky' gloomy conception. completed by: Ernest Giraud, Fritz Oeser, Michael Kaye, Jean-Christophe Keck, and others. This is the one "serious" opera from France's leading composer of operetta and light comedies. Hoffman is a cyclical story dealing with the titular poet being thwarted repeatedly by four "evil geniuses" as he pursues his ideal woman. Francois Giraud completed the opera following Offenbach's death, but shortened the "Giulietta" act--which happens to be the opera's climax. Through the years, sopranos have pushed for the order of acts to be altered, so they can sing the "Antonia" act (with its spectacular death scene) last. This makes nonsense of the plot. Most recordings of this opera feature different performing versions, bastardizations, and alternate endings. In the 20th century, a number of musicologists, including Michael Kaye and Fritz Oeser published different complete versions of the score. This version of Faust by the most Faustian of composers was Busoni's magnum opus. This Italian-born German composer skipped Goethe's version of the story and went directly to the source of the Faust legend, medieval German puppet plays that told the story of a man selling his soul to the devil. Unusually, this version of the story casts a baritone as Faust and a tenor as Mephistopheles. Busoni worked frantically to finish the opera, but died (from a kidney disease) before he could complete the final act, when Faust's soul is redeemed. Composer Philipp Jarnach's completed version is the repertory standard, although a new completion by Anthony Beaumont is based on Busoni's own sketches for the finale. The Kent Nagano recording of the opera (on Erato) includes both endings. Probably the most famous "incomplete" opera on this list. Puccini died in 1924, following complications from surgery to remove his throat cancer before he could complete the last act of Turandot. His final opera is a tale of mythic China in which a mysterious Unknown Prince seeks to melt the heart of the titular Princess before she has his head cut off. Unfortunately, the composer died before he could write the music in which Turandot's heart melts. In 1926, Puccini's publishers hired composer Franco Alfano to finish the job. At the opera's premiere, Toscanini stopped conducting at the moment where Puccini stopped working and explained "Here, the maestro laid down his pen." The following night, Alfano's completion was performed. Today, most opera houses cut the Alfano music as short as possible. As a result, this grand, complex mythic tale has one of the most abrupt "quick endings" of any opera. Berg died before he could finish the last act of Lulu his opera that explores the power of destruction through seduction. In his original conception, Lulu would sink into prostitution, and would be finally slaughtered by Jack the Ripper. When Berg died, his widow Helene approached Arnold Schoenberg to finish the opera. When he declined, she would not allow anyone else to work on Berg's sketches. As a result, Lulu was premiered in 1937 as a two-act torso. Helene Berg died in 1976. In 1979, Friedrich Cerha completed the opera. The full three-act Lulu was premiered by conductor Pierre Boulez, and proved to be a huge critical success . And yes, these performances are available on CD. Arnold Schoenberg and the Birth of Serialism. One hundred years ago, Arnold Schoenberg took the "rule book" of music, and blew it to smithereens. Schoenberg started out as a late example of the post-Romantic sound, writing gorgeous tone poems (among them, Verklaerte Nacht) for huge orchestral forces. His biggest work, the choral cycle Gurrelieder requires a small army of musicians. But, faced with a musical dead end, Schoenberg struck a different path and changed music forever. With the premiere of the song cycle Pierrot Lunaire, Schoenberg created a new system that inspired composers in the 20th century to push the envelope and change the way music sounded. He fused the chromaticism of Richard Wagner with the post-classical complexities of Johannes Brahms, Schoenberg wrote music that was atonal (without tonality or a fixed key). Eventually, Schoenberg developed the twelve-tone system.Schoenberg, and his two famous students (Anton Webern and Alban Berg) are referred to as the Second Viennese School. Now, instead of that "normal" order, the composer takes the twelve tones and rearranges them to create a note row in any order he wishes. Sometimes, the note rows are based on strict mathematics. Sometimes, they are just the composer's own arrangement. Here's an example. (This is not an actual note-row, just a hypothetical) This new tone row can then be played retrograde (backward), inverted) upside-down or in other permutations. The composer can also organize or "serialize" the rests between the notes, the intervals, or any other aspect of the composition that can be thought of. All these techniques together are known as serialism. The idea of "atonal" or "serial" music can intimidate the first-time listener. Once the ears adjust to the fact that this music is not following the "traditional" mold, new sonic possibilities open up. Schoenberg, and his two famous students Alban Berg and Anton Webern are among the most important composers in the repertory. The Pollini disc is an essential one-disc survey of Schoenberg's complex, spidery piano works. It was recently reissued as part of DG's Maurizio Pollini Edition. Top-notch playing, and crystalline sound. Next, check out Schoenberg's early, post-romantic period, try the excellent Philharmonia Orchestra recordings of the composer's two major tone poems. The late Giuseppe Sinopoli conducts. Berg's concerto, written in 1935 and dedicated "To the Memory of an Angel" is one of the composer's most emotional, yet accessible works. Of the many fine recordings in the catalogue, this one leads the pack. The disc also includes Time Chant by contemporary German composer Wolfgang Rihm. The Mutter recording of the Concerto is also available on the 8-disc "Alban Berg Collection" box set, which includes most of the composer's major compositions, including the operas Lulu and Wozzeck. One of the most important composers of the 20th century in his own right, Pierre Boulez recorded the complete works of Webern twice, once for Sony and later for Deutsche Grammophon. The DG recordings are preferable. Instead of getting the three individual Volumes, you can pick up the six-disc Complete Webern box set which gives you the Emerson String Quartet's recordings of Webern's chamber music.